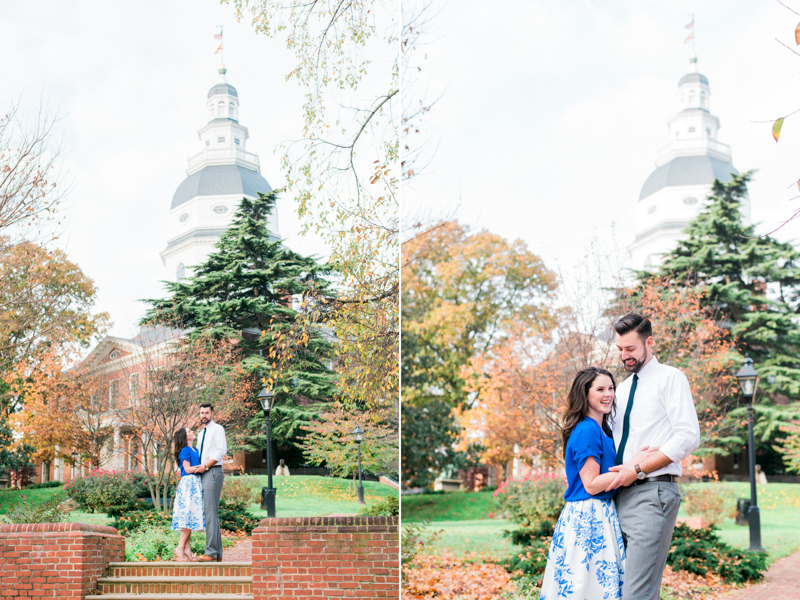 One of the biggest questions I get from clients: where should we do our engagement session? I can seriously pick locations for days. There are a ton of parks all around Maryland, and urban locations like Baltimore, Annapolis, and Washington DC are all within 30-40 minutes. The thing I can't search for in a location, though, is a place that you will click with and love. That's the reason I always suggest that you and your other half find a spot that you can envision yourself being in together. 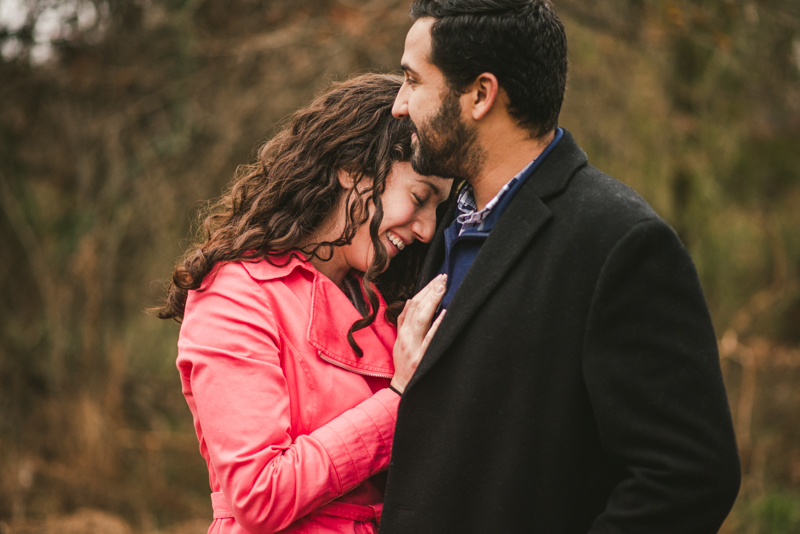 Imagine the session you want -- not one that you found on Pinterest or Facebook -- but one that you truly think will capture you two as a couple. Think of the environment that you enjoy and pick out certain aspects from it. Is there a lot of green? Water? Maybe there are some different unique elements like stone buildings? 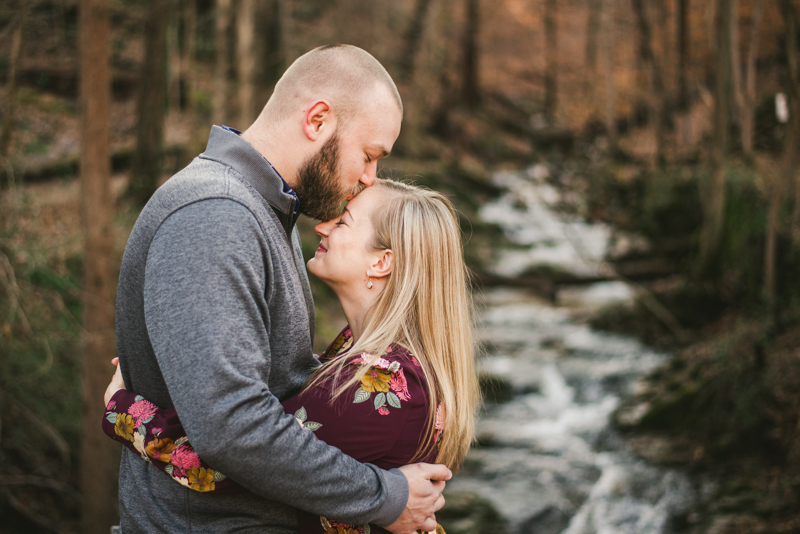 (If I just described everything that you are seeing, then I can suggest your session being at Savage Mill or Ellicott City.) Figuring out certain details that you want in a location can help immensely with searching for that perfect spot. 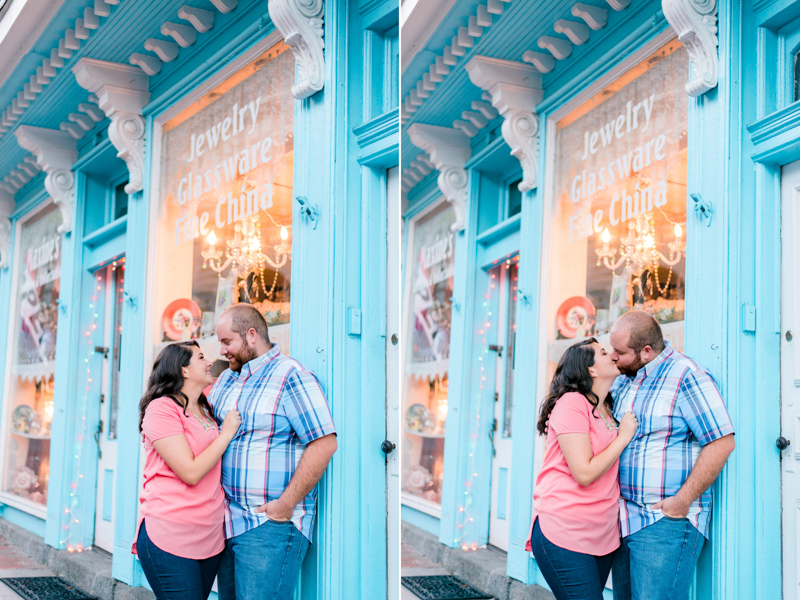 A great example of picking out a location is how Shawn and I narrowed down our own ideas for our engagement session. For starters, I had outfits picked out months prior: a lace salmon color dress for me and a maroon button down with khaki's for Shawn; then an outfit change into more casual jeans and sweaters for later on. 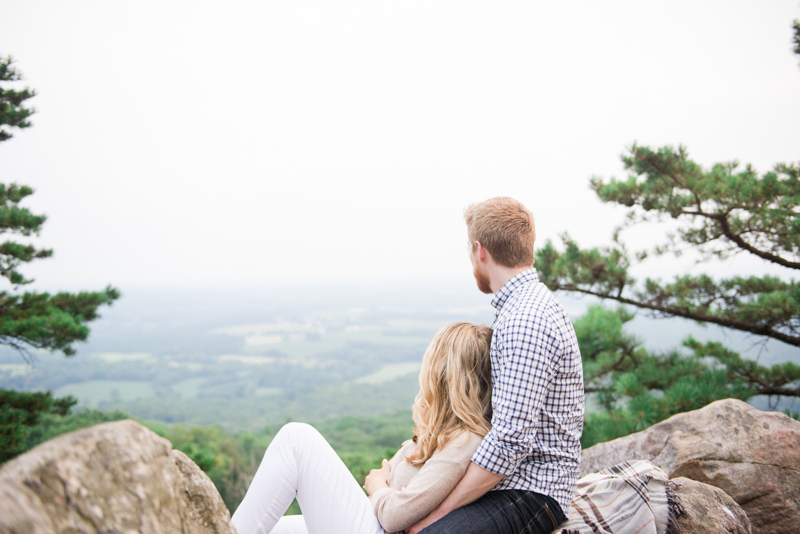 From there, we moved on to thinking about important places to us and almost immediately we thought of our first date, which was a hike in the park near us. At that point, we had in our minds being surrounded by green trees, having a picnic next to a river, and eating ice cream. 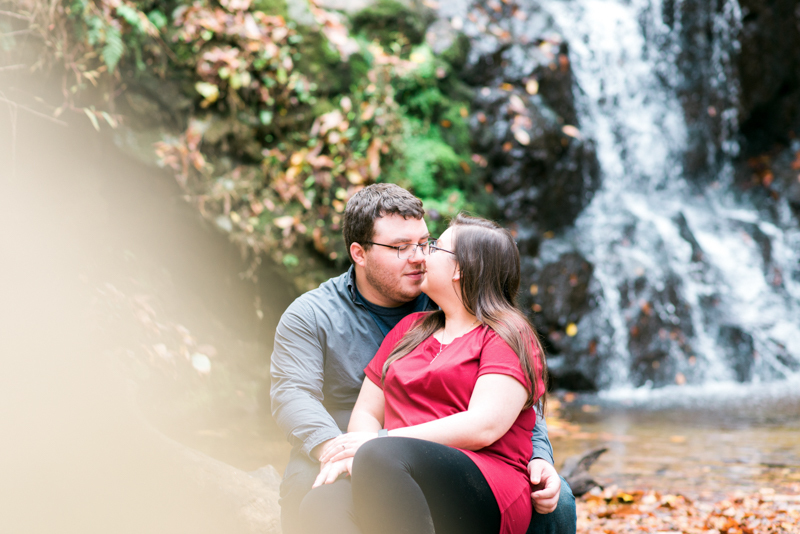 Our ideas were pretty specific, but they helped us pick out Patapsco Valley State Park for our picnic and then Ellicott City's Bean Hollow for our fun ice cream eating. Our dressy outfits worked perfectly with the picnic vibe, while the city was great for the casual jean look. All three of my location choosing tips go hand-in-hand with each other. 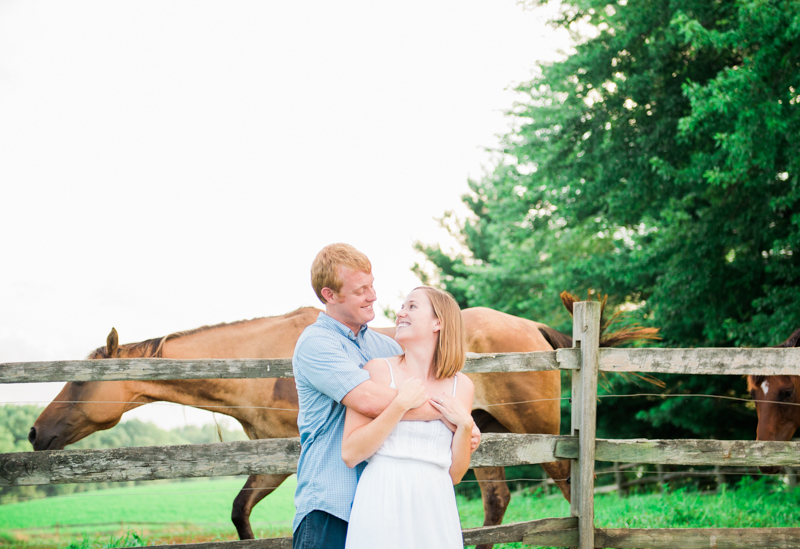 If completed in any order, your engagement session is going to be so much more special and personal to you both. 1. Dream up some key elements that you want your images to have. This is the part that I went over in the beginning where you sit down together and imagine what you want to see in your images: mountains, trees, a breathtaking overlook of a town. Get inspired by sites like Pinterest, but don't let them railroad you into only doing what others have done before. There really aren't any limitations on what you can imagine! Maybe your spot is the first restaurant that you went to together, or a fun park that you both frequent. 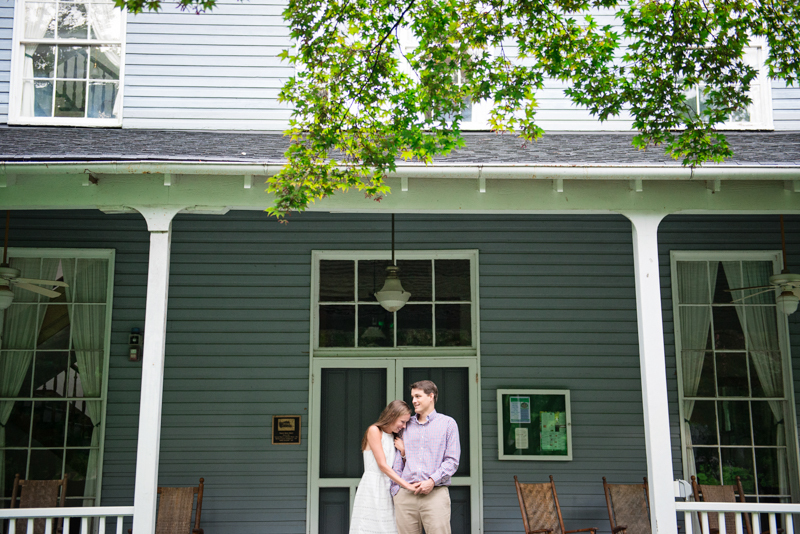 It could even be the place that you plan to get married. Everything is special in a relationship, and brainstorming for places together can be a fun experience :). 3. Imagine the outfits that you have been pinning and scooping up. A lot of the time a location can be based off of what you have chosen to wear. If you are anything like me, you picked your outfits before having any clue of the location. I made sure that the spots Shawn and I chose allowed us to stand out from the scenery, without being ridiculously fancy. If you picked up a black tulle skirt, you should be focusing in on more marble and metal cities rather than parks. 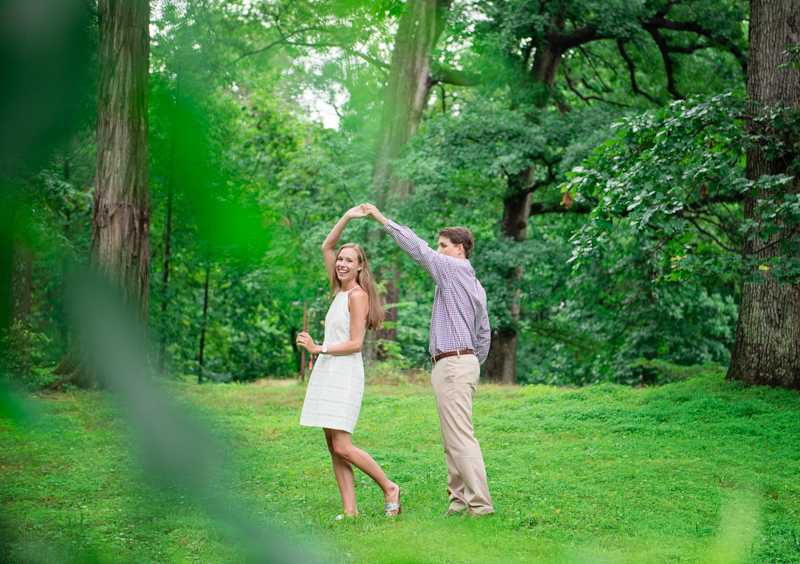 Picking out an engagement spot can definitely be a challenge, but following the above tips will help set you on the right course. You and your partner can have a fun dinner date out or spend quality time at home discussing possibilities and interests. 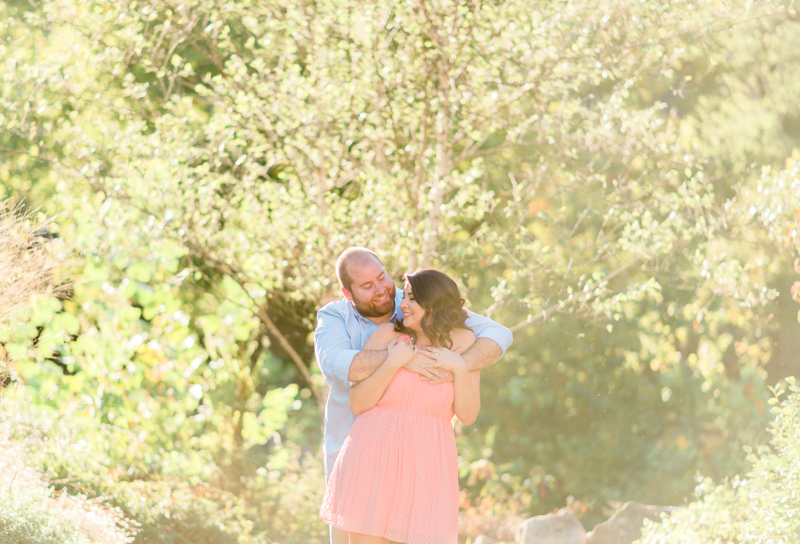 If you're stuck or need some recommendations after you've narrowed down your choices, feel free to ask your photographer! We've been to a lot of places (or seen them while looking for locations ourselves! ), and can certainly think of something that would fit your style.